From July 26 until 29 the city of Plovdiv hosts the 2018 World Rowing Under 23 Championships. The Bulgarian team consists of 30 athletes. They will participate in 24 disciplines. Hopes are pinned on Veselin Vulchov and Hristo Rekov (double kayak) and on Angel Kodinov who will take part at the canoe single 1,000 meters. 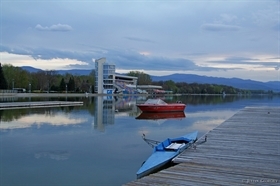 Plovdiv will also host the World Rowing Championships in September this year.